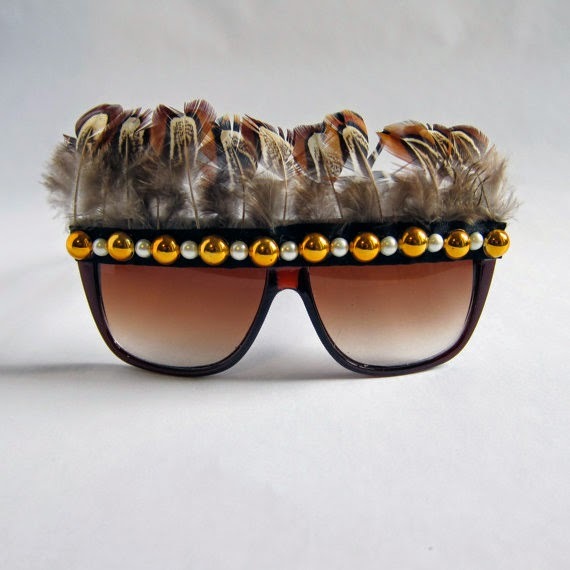 Start getting ready for summer now with these feather sunglasses. This is one trend the you can get to be one of the first. Take a look at these great shades and just try and see yourself in them struting down the beach with your toes digging into the nice worm sand. Now that its starting to get warm outside you can start to get your summer wardrobe together. I also really like these ones from Etsy but they are no longer available from the site. But I did find these bad boys that were available from Etsy. Here is the exact link if you want to check them out. Every season is great for feathers but I think that the spring and summer are the best seasons for feathers. 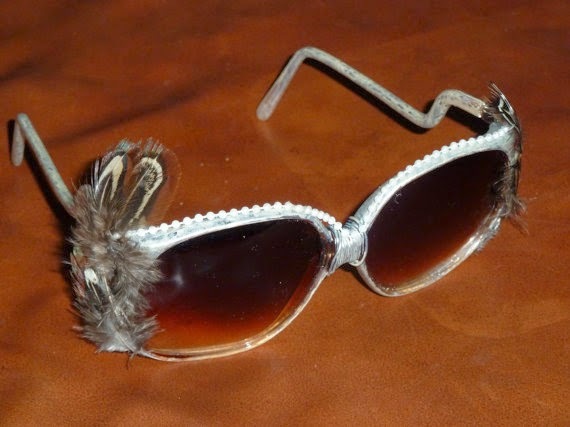 Here are just a few of the great feather designs for this year’s spring fashion. 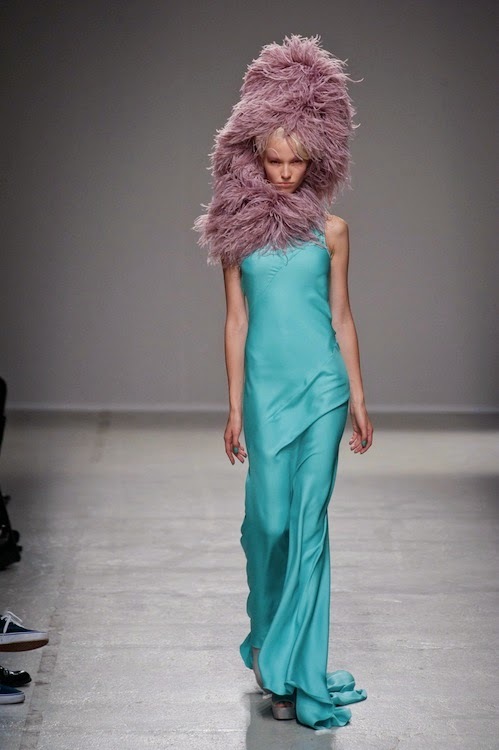 Armani used feathers in one of these dresses that you see below. This spring’s fashion collection from the seasoned designer shows the sophisticated and fairy-tale like vibes that we all know well. This hairstyle trend of Indian braids just goes best when the feather is added. In this photo below it is shown done very well with these outfits by Nicholas K.
For Gareth Pugh these two outfits below are much more cheerful then the designs the artist is bets know for. Pugh is known best for his more dark and Gothic designs but here he seems to have gotten just a bit into the spring spirit. Alexander McQueen who is also know well for his Gothic style brought us this outfit for spring 2014. Below we can see this masterpiece in red and black and also in white and black.